Stable and cozy, great to tuck in to a small cove as you cruise to Alaska. 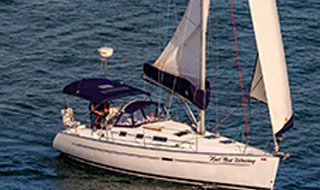 Also available for Desolation Sound and Port Hardy with prior owner approval. Stable trawler with spacious salon and galley, two queen walk-around staterooms each with head and shower, plus day-head in salon; comfortable pilothouse and fully enclosed fly-bridge with spacious sundeck for enjoying the scenic views. Long range capable with 700+ gals fuel, 280 gal water and 80 gal holding tank. Drop off in Campbell River (Desolation Sound area). Call to discuss date options. 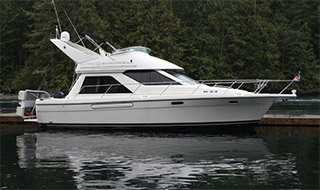 This 47' Bayliner is available for one-way charters to Desolation Sound. 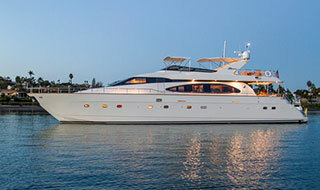 Lots of amenities including washer/dryer, trash compactor, central vac, ample storage, electric davit, stereo, sink and refrigerator on flybridge. Full instrumentation with Radar and GPS chart Plotter. 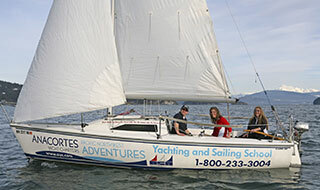 This excellent Selene has just booked a ONE WAY to be dropped off in Campbell River Aug 3 - 13, 2019. If you've wanted to make this trip, CALL FOR DETAILS! Vessel available CAMPBELL RIVER starting Aug 14, 2019 or thereabots.